Our debt solution isn’t a trillion-dollar coin. It’s education. It’s official: All of the partisan bickering has driven everyone in Washington insane. 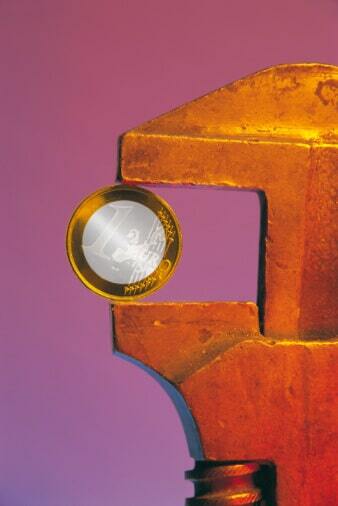 Take the trillion-dollar coin. You’ve heard about this by now, no doubt. It’s a liberal Democratic answer to the looming debt ceiling debates. The basic idea is this: Current law allows the Treasury to mint platinum coins and assign them any value at all. Mint a couple of those babies and voila! We’ve solved our debt problem without having to fight about increasing the debt ceiling. John Stewart captured the absurdity of the idea brilliantly. Smoke and mirrors aside, now that Congress has kicked the debt problem down the road as part of the fiscal cliff fiasco, it’s time to get serious about the debt. That’s what CPAs believe, anyway. In a recent AICPA survey, 54 percent of CPAs surveyed said deficit reduction should be our nation’s top economic priority, and really, it wasn’t even close. Coming in at No. 2 was job creation, at 23 percent. Tax reform was third at 18 percent. So the problem isn’t in convincing CPAs. It’s in convincing the rest of the populace. The more people who know and understand the problem, the greater our chances of properly addressing it. So says David Walker. The CPA and former U.S. comptroller general has been on a nationwide tour over the past few years in an effort to open the public’s eyes about the looming debt- and budget-related disasters that await us if we don’t act now. “A critical aspect of this leadership must be a major effort to educate and engage the American public on the true state of our nation’s finances and the types of reforms that will be necessary to ensure fiscal sustainability,” Walker wrote recently in USA Today. “And it needs to be a national effort that occurs outside of Washington, D.C., and is sanctioned by the White House and Congress, meaning that key elected officials, Democrat and Republican, agree to join together and participate. It’s time, gang — time to get serious about our spending woes. This isn’t a partisan issue. It’s a survival issue. The more people who know the issues intimately and understand what must be done, the greater the chances that Congress will wake up and do the right thing. We have less than two months, and the clock is ticking.